Tremors TV Series Gets Pilot Episode | Nerd Much? 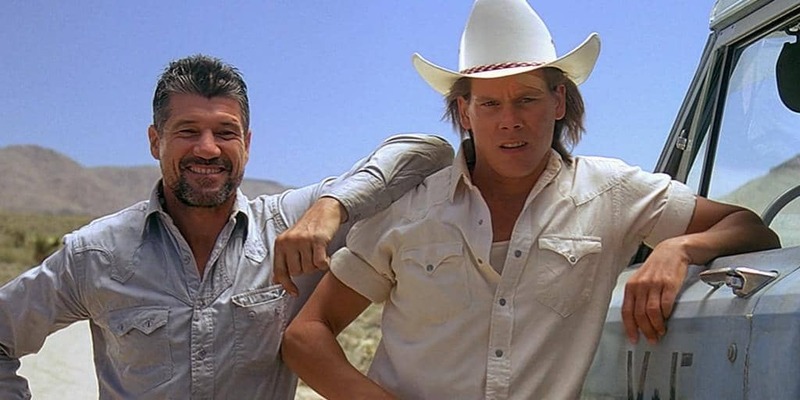 According to The Hollywood Reporter, the TV adaptation of Tremors, a cult classic from the 90s, has received an order from Syfy to produce a pilot episode. Hopefully it will be approved and we’ll see the vision writer Andrew Miller and star Kevin Bacon had in mind. We first heard about the series a few years ago, when Kevin Bacon announced that he would be willing to revisit his character from the original film. Tremors has since had five sequels, Tremors 2: Aftershocks, Tremors 3: Back to Perfection, Tremors 4: The Legend Begins, and Tremors 5: Bloodlines, the sixth of which will be coming out next year. There was also a very short spinoff series of 13 episodes back in 2003, though Miller and Bacon are likely not basing their idea off the latter. According to The Hollywood Reporter, the new show will focus on the charming town of Perfection, NV as it is terrorized by the Graboid worms once again. To get rid of the giant pest, the town calls on their hero Valentine McKee, to be played by Kevin Bacon again. McKee, having defeated the worm before, must overcome the reality of his age, alcoholism, and a grand delusional hero complex. According to Bacon, McKee is the only character he ever considered revisiting. Bacon states that Miller answered the question of where McKee would be 25 years after the events of the original film and describes the show as “fun and scary” for old and new fans alike.